Lionel Messi is under increased pressure to redeem himself when Argentina face Croatia in Thursday's pivotal match after eternal rival Cristiano Ronaldo scored his fourth goal of the World Cup to send Morocco packing. 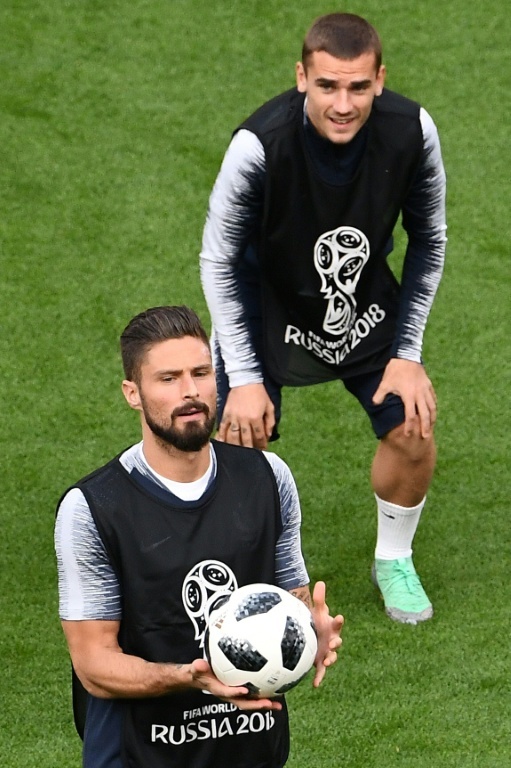 France will be looking for a second World Cup Group C win against Peru Thursday while Australia need to bounce back from their heart-breaking defeat to Les Bleus against Denmark. Messi's teammates have rallied around their superstar captain after his spot-kick was saved in the 1-1 draw against minnows Iceland on Saturday. 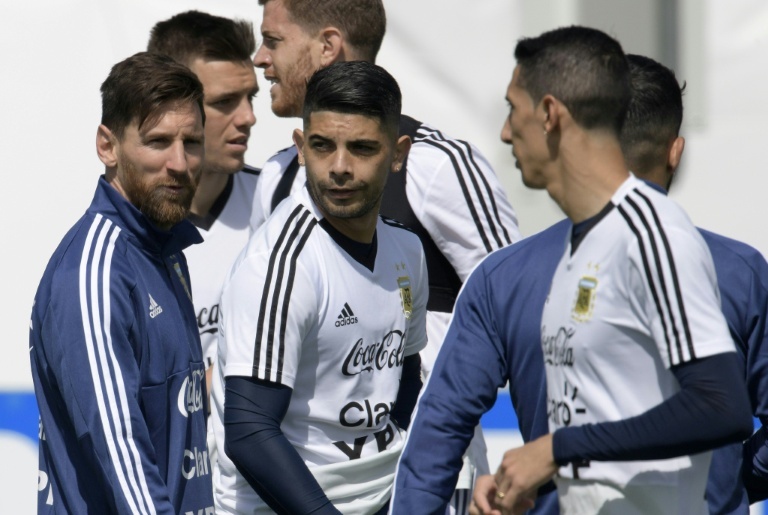 Messi is bearing the weight of expectations as Argentina seek a first World Cup trophy since 1986, desperate to crown his glittering career with a major international tournament success. However so far in Russia, Messi has been overshadowed by Ronaldo, who took his tournament goal tally to four on Tuesday with the winner in Portugal's 1-0 defeat of Morocco, which condemned the Africans to an early exit. A defeat against the Luka Modric-led Croatians in Nizhny Novgorod could see Argentina, unthinkably, flirting with a first group stage exit since 2002. "We are all with him, he knows that he can count on the support of all of us more than ever," said Argentina striker Paulo Dybala of Messi. "We are here to help him every moment, and of course we will be at his side," Dybala added. Croatia secured three points in their 2-0 win against Nigeria in their opening game but enter the match under a cloud. AC Milan striker Nikola Kalinic was sent home from Russia for reportedly refusing to come on as a substitute, though coach Zlatko Dalic claimed the AC Milan man had a back injury. Fancied France could only edge past Australia 2-1 courtesy of an Antoine Griezmann penalty and an own goal in their Group C opener but have vowed to ramp up the intensity against Peru in Yekaterinburg. "We took stock of what was done well or not so well and all agree that we will have to increase our physical intensity and improve our attitude in general," said France vice-captain and central defender Raphael Varane. "Other teams (among the favourites) did not win or even lost. We won, but we know that there are things to improve on. We know what direction we need to go in." The defeat to France mean the Socceroos are targeting a win against Denmark in Samara on Thursday to have a realistic chance of qualifying from the group stages. Captain Mile Jedinak, who scored from the penalty spot against France, says improving on a disciplined performance and not obsessing over great Dane Christian Eriksen will be key against Denmark, who squeezed past Peru 1-0 in their opening match. "We know (Eriksen) is a fantastic player and obviously he's got a huge role to play for them," said Jedinak. "But we're not trying to focus on that. We'll definitely focus on them as whole and as a collective." Iran, who had a precious second-half equaliser ruled out for offside by VAR, lie just a point behind the Iberian pair and can still guarantee qualification for the knockout stages for the first time by beating Portugal on Monday. Uruguay knocked out Saudi Arabia Wednesday with a 1-0 win which confirmed the South Americans and hosts Russia as qualifiers from Group A with a game to spare. The result means an early exit for Mohammed Salah's Egypt who will be heading to Volgograd airport along with the Saudis for a plane home after their clash in the historic city formerly known as Stalingrad on Monday.